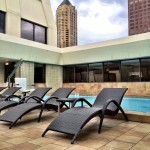 Avenue Crowne Plaza Chicago Magnificent Mile. 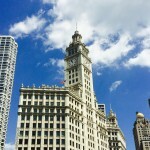 Last month, I was invited to a Disney’s Social Media Moms event, On-the-Road Chicago. Aside from taking in the guaranteed magic that Disney would offer in the big city of Chicago, I took the chance to take in a whole other type of magic. 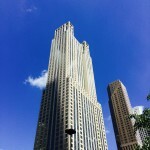 The magic of relaxation, great food, amazing sights, luxury, fun and SHOPPING for a girl’s only getaway with my sister! The Avenue Crowne Plaza Did Not Disappoint. My sister is my best friend and since our lives are both so busy, we don’t get to see each other as often as we’d like. 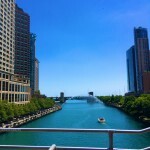 I have always been in love with Chicago. I’ve visited once before but didn’t get a chance to take in the city. 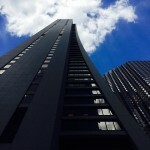 With this chance of being in town, I was more than happy to stay at the Avenue Crowne Plaza in Magnificent Mile during our stay in Chicago. Check out the room that we called home for 2 days! 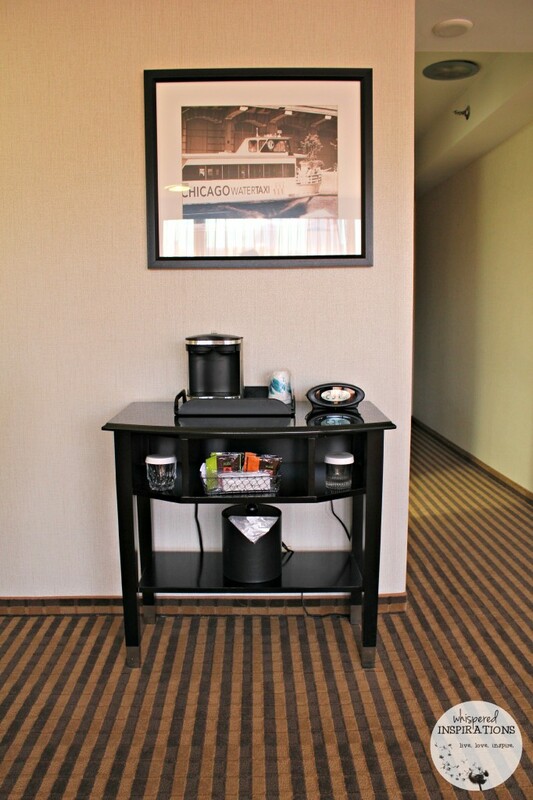 The hotel is perfectly situated steps off the Magnificent Mile, right in the heart of downtown Chicago. 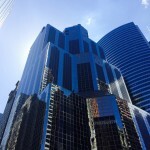 The hotel boasts 350-rooms, 143 suites and an entire floor dedicated to business travelers. While I must note, the hotel is currently under renovations and while the lobby was under construction, our stay was not disrupted at all. We had a gorgeous suite for two and this, my friends, is where we laid our heads for two days. The two Queen beds were PERFECT and so super soft. I loved that we were able to adjust our own room temperature too. Not to mention, the room was clean and that is something we all look for, right? The modern decor was beautiful and I loved the overall theme that the hotel had. 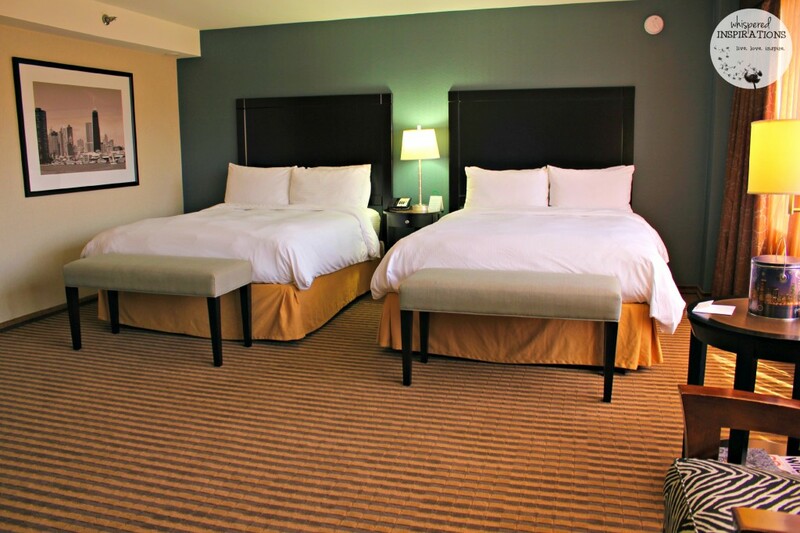 Now, our 2 Queen bed Executive suite was tremendously spacious. 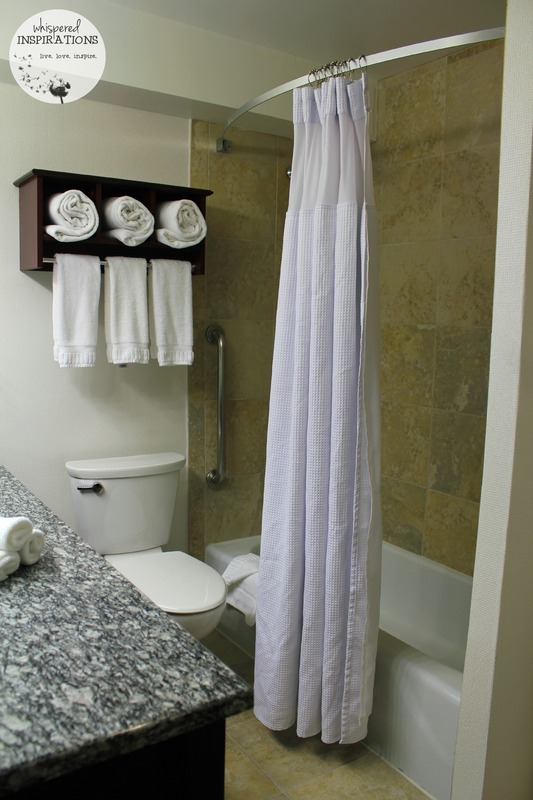 I’ve stayed in many hotels and the bathroom alone is sometimes the size of some hotel rooms on its own. 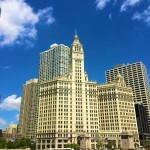 This suite was beautiful, it had a great view of the bustling city and even the John Hancock building in the distance. It had a nice seating area, a desk where I caught up on work and a nice size TV for down times. 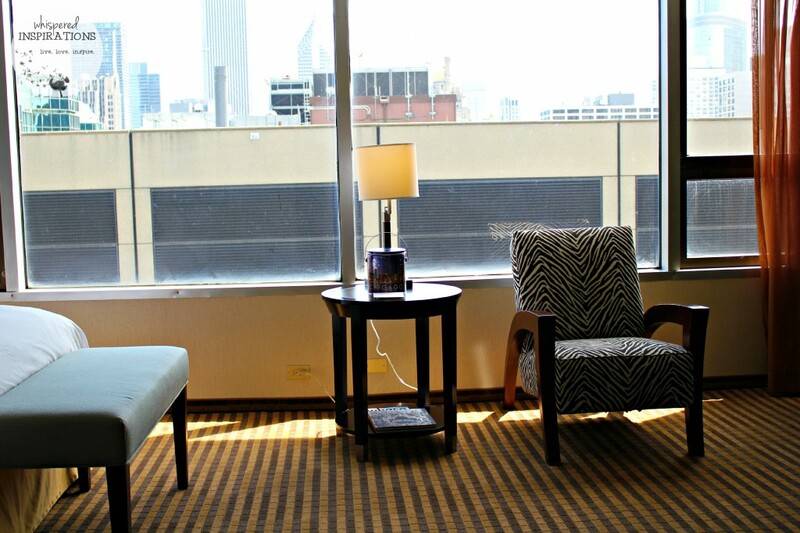 You gotta love the comfy Zebra accent chair, right? The cable had a nice number of channels and the WiFi was reliable and worked well. 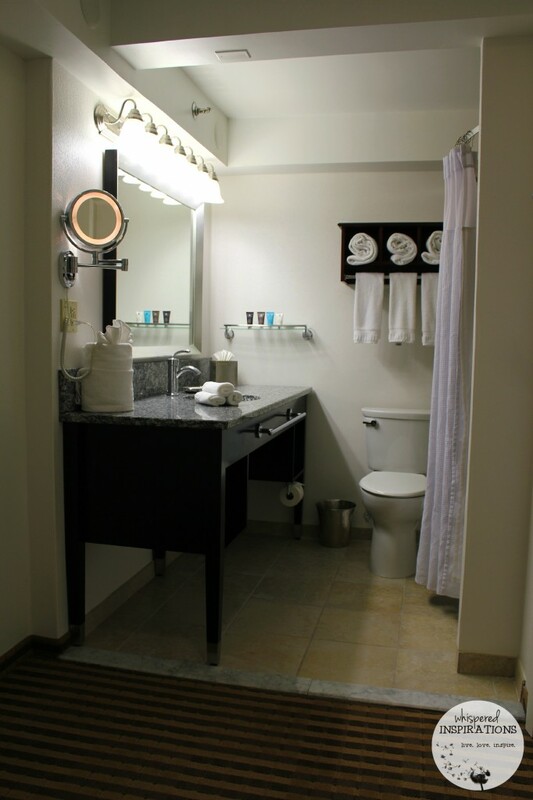 The bathroom is one of the things that I check out first when I get to the hotel. That is if I don’t check it out before I arrive. 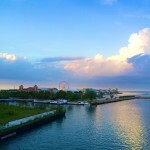 After all, it’s a place where you’ll spend lots of time in getting ready to enjoy Chicago. The washroom was large, it had a beautiful and modern vanity with a large mirror, a make-up mirror that was awesome to get dolled up through and a large shower. Most importantly, the washroom was clean and private. There was also a huge closet inside here and we used it to hang up our outfits for the next day. We even used the iron and ironing board and it was super convenient. 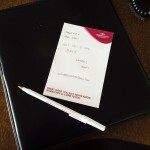 Almost every Avenue Crowne Plaza employee was helpful and made us feel welcome. 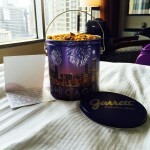 We were welcomed with a thoughtful card and a delicious tub of Chicago-style popcorn. By the way, we totally fell in love with the Chicago mix! It was a nice gesture and we were ready to take on Chicago! It was just the boost we needed! 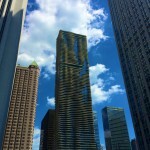 Did I mention that this hotel is on Magnificent Mile? 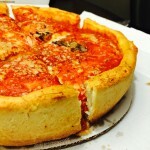 If you don’t know about Magnificent Mile, well, you’re missing out. It is a shopper’s dream and since we were on a girl’s getaway, we came to SHOP! 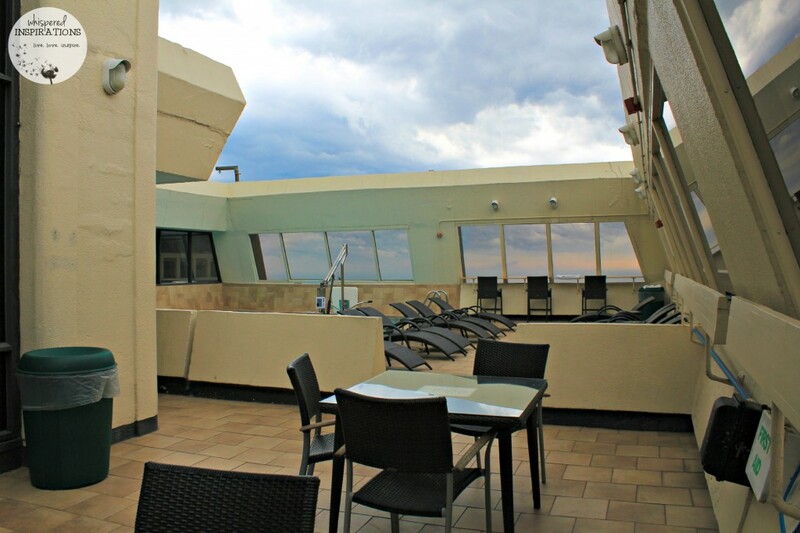 The Avenue Crowne Plaza is in a great location and there is tons of options for food, shops and even a Walgreens in walking distance. The shops are amazing. Can we say two stories of your favorite stores? 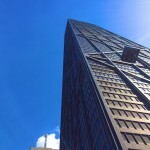 Not to mention, we were able to take in a double-decker city tour and in less than 5 minutes from our hotel, we were at our stop to get picked up at Watertower Place. From here, we were able to explore the whole city by jumping on and off the bus. It was simple to get around by foot and even easier to get back to our hotel. No hassle of driving to get everywhere we needed to be. We took in the city, ate Chicago-style pizza and you can tell I was a happy and well-rested girl by the impromptu morning selfie pictured above too! Why yes, those are skyscrapers in the background in case you were wondering. 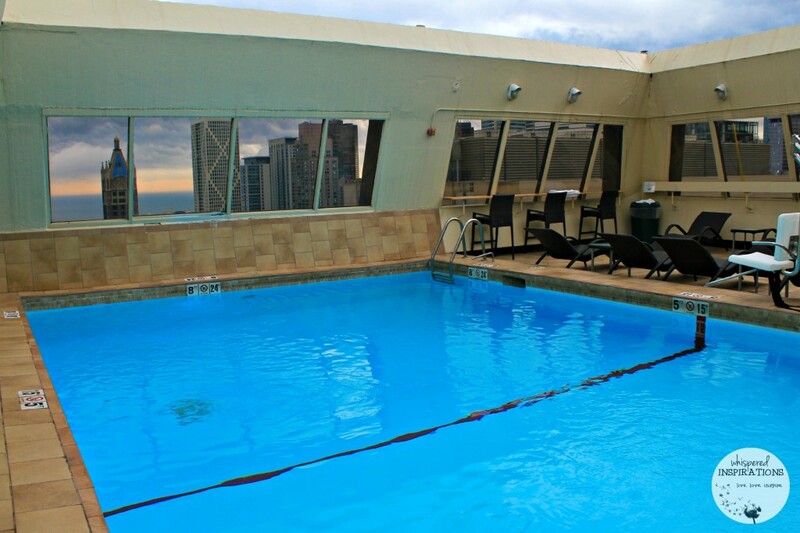 One of the best parts of this hotel is that they have a rooftop pool with almost panoramic views! We had really hot days and this pool was more than welcoming for us. The water was a nice temperature and we enjoyed some quiet time up here. 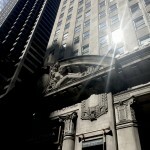 Whether you are in Toronto for business or pleasure, this is a great hotel to stay at when you are in Chicago. 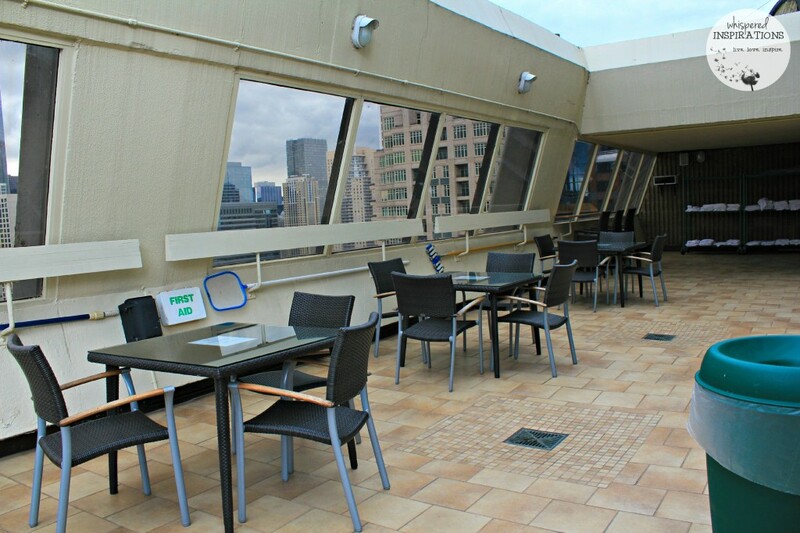 Its downtown location puts you footsteps away to shopping, sight-seeing, delicious cuisine, night life and so much more. 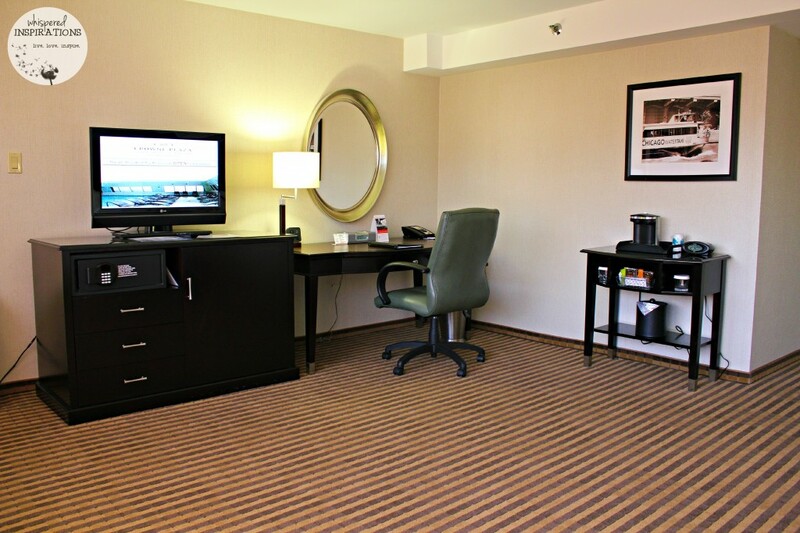 If you’re on business, the business center is sure to suit your needs. 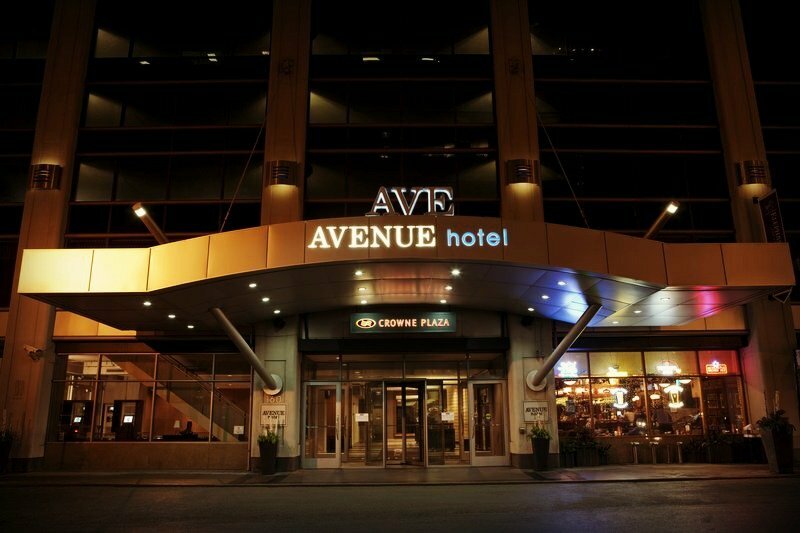 For more information or to book your next stay, head over to the Avenue Crowne Plaza’s site. While the hotel is undergoing a make over, I know that big things are coming for this location. 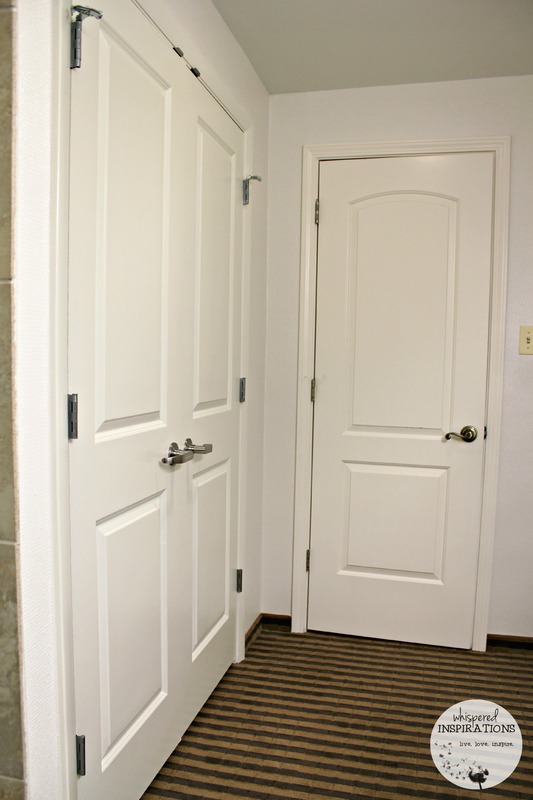 During our stay the remodeling for us wasn’t disruptive, we had a quiet, luxurious and comfortable stay! 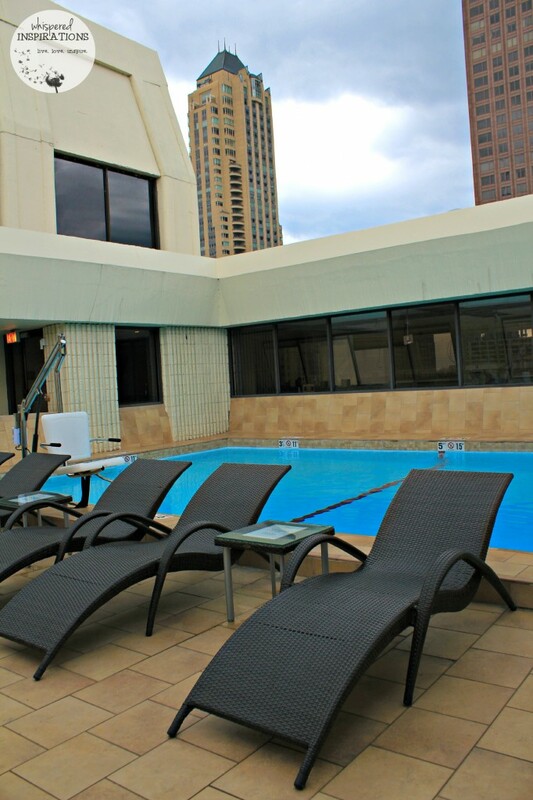 It was perfect for a girl’s getaway for shopping, swimming, sight-seeing, eating great food and good drink! We had a blast! 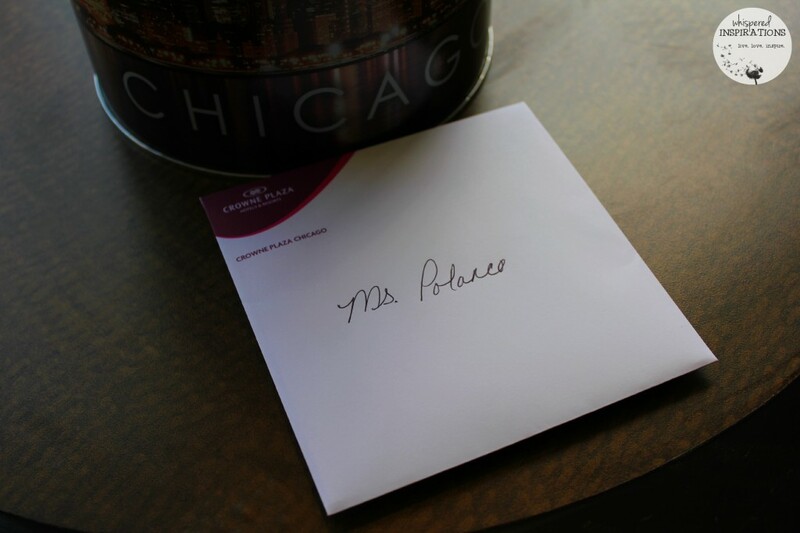 We are looking forward to our next stay at The Avenue Crowne Plaza in the Windy City! Can’t wait to see it fully completed, it will be even more amazing! 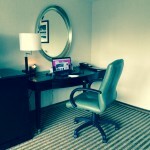 What do you look for when booking a hotel? Looks like this would be an amazing place to relax! What a gorgeous hotel. It looks super comfy. That's just the thing after a night on the town with the girls when we don't want to drive home late. Exactly and so close to shopping! Wow. That room is gorgeous, and the amenities look amazing. Very posh. That's a beautiful hotel. Your room looks so spacious. Wow, that is one totally gorgeous hotel! I love how big and spacious the rooms are! Me too, it was great! Gorgeous. Looks like this trip was blast. I mostly look for comfort and cleanliness in my hotels! What a gorgeous place to stay, that is one awesome looking room!! I love the decor and man it just looks so fancy!!!! It\’s great when you are traveling, gotta love comfort and luxury! What a beautiful hotel. I am glad you had such a successful trip. I have always wanted to see Chi Town. Thank you for sharing. My pleasure, enjoy it if you do! Wow, the pool looks so amazing! I love Crowne Plaza properties. I would love to visit here! My sister and I have been planning to meet up somewhere and this would be a great location to fly in and visit. It would be a great place to meet up for sure! That hotel is gorgeous! I would love to stay there. What a fantastic location for a hotel. 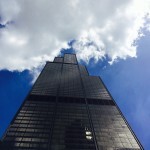 I went to Chicago last summer and had a wonderful time. Such a gorgeous city. Looks like an amazing place for a getaway. I am really impressed with how spacious the room is! Most hotels I stay in are really crowded! So nice to have a little extra room. It is definitely nice to have more space! Location is what I look for first, but then I go on price. I love how plugged in this one was. Oh how I could use a girls giveaway! LOVE IT! Nice diggs too. Me too, it\’s their signature chair. LOVE it. 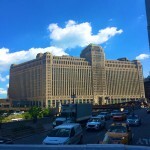 That looks like an amazing place to stay and Chicago is definitley on my list of places I want to visit. It is a great place to stay, perfect location. oh man that room looks amazing and the pool! what a perfect retreat! So spacious and I love the total look of the rooms, very nice! They are very modern, I loved the decor. It was beautiful. A must-stay! What a perfect accommodation! Looks so fresh and relaxing. Perfect vacation rooming. That hotel looks lovely. And that room looks enormous! What a beautiful hotel! So modern! It is very modern, it is only getting better. 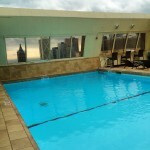 I loved the pool, great views! This hotel looks amazing! 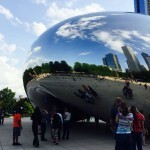 I am planning on a visit to Chicago maybe next year. I am going to keep this place in mind for sure. That is great, I hope it works out for you. That looks like a great place to stay! 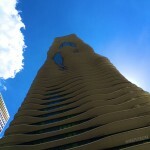 My partner and I love going to Chicago and will check out the Avenue Crowne the next time we book! I've never been to Chicago. 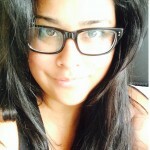 I love your room there! That is a great bathroom & I definitely would love the rooftop swimming pool! It was a great place to stay!